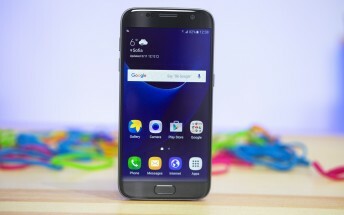 Users of Samsung Galaxy S7/S7 edge on Canadian carrier Rogers' network will be glad to know that their device will get the Nougat update in just over a week from now. The carrier has updated its OS upgrade schedule to reflect that the update will start rolling March 20 onwards. In addition, the updated schedule reveals that Huawei nova plus units will get the Nougat update soon. Also revealed is the date when Google's Pixel and Pixel XL phones on Rogers will get their next security update.